Medistart Spa Salon Elementor Template can boast with elegant design and a variety of functional features that will show off your service in the smartest way. This Spa Salon WordPress Theme suits perfectly for spa salons, wellness studios, beauty centres. 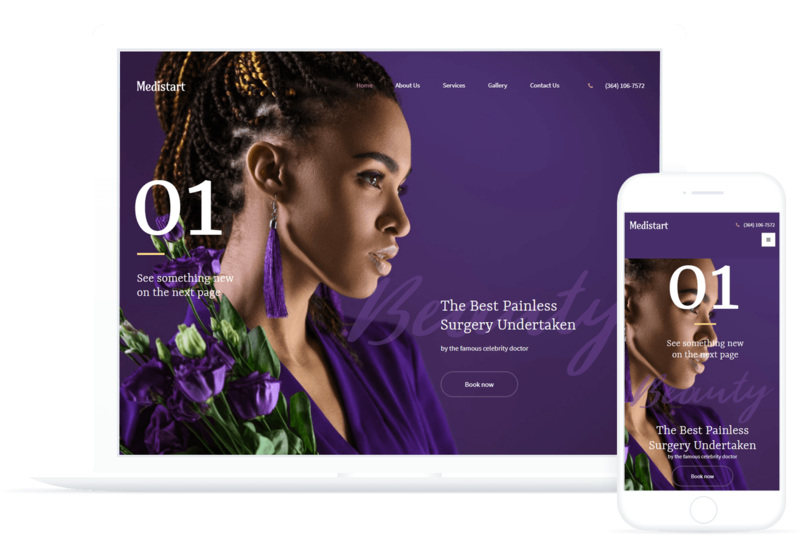 Medistart will help you create a professional and memorable impression at first sight, supplying you with the great combination of well-structured content and colors.